BARCELONA star Lionel Messi was the reason why Real Madrid midfielder snubbed a move to the Nou Camp, reports say. 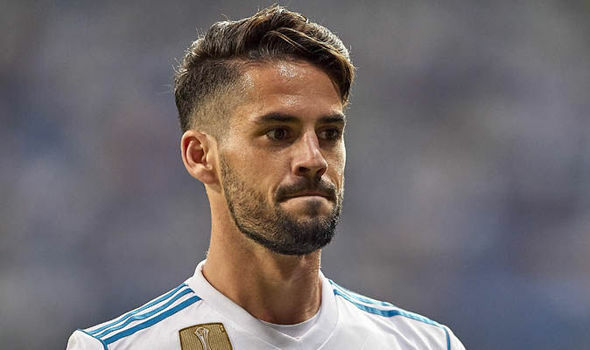 Isco signed a new five-year contract at Real Madrid yesterday, in a deal that will also see him be the bearer of a huge £623million release clause. The Spain international’s future at the Bernabeu looked bleak 12 months ago, with the player being tipped to sign for Barcelona. However, Gareth Bale’s fall from grace coupled with Zinedine Zidane’s faith in him has seen him become one of the first names on Real’s team sheet. And Spanish outlet Diario Gol claimed Isco turned down Barcelona because of Messi. It is said the Spain international wanted to enter a team with a winning vibe. But, with Real dominating in La Liga and also winning the Champions League in three of the last four years, he was unconvinced. Additionally, he was unsure of what Messi’s status as the club would mean for him. There is no denying that, even in a star-studded team also boasting the likes of Andres Iniesta and Luis Suarez, that Messi is their main man. It is said that, in a meeting with Barca president Josep Maria Bartomeu, he discovered that the team would be built around the Argentinean. And while Isco is used to being told to get the best out of Cristiano Ronaldo, he was unwilling to take the risk.